If you are interested in enjoying a process of site-building, you need something like an easy-to-use Novi Builder. More and more people start importing the chosen HTML templates into this page builder and construct their online-projects using a wide range of visual tools. It offers not only a drag-and-drop builder itself but dozens of additional plugins and ready-made solutions. 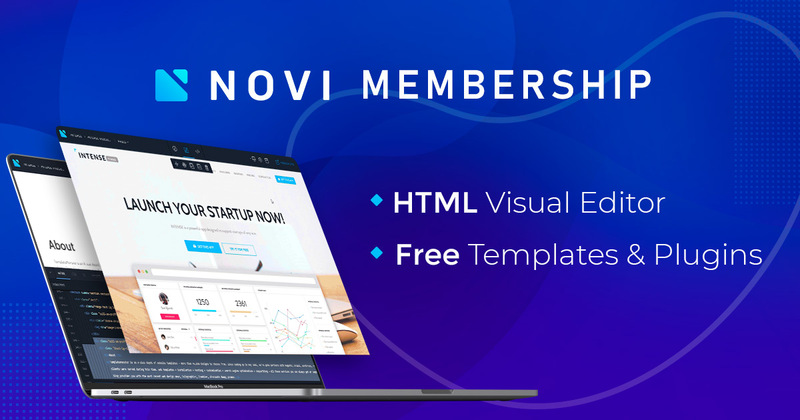 Yet, if you want to get access to these high-quality templates and plugins, you need to get your Novi Membership. There are three plans created for different categories of users - novices, advanced users, and web-developers. Free ready-made templates for a large number of topics. Three main modes (design, edit, and preview). A limitless number of websites that you are free to create. WordPress – WP for short – is an open source website builder that helps you create the most spectacular web pages. WordPress offers multiple themes and plugins for the initial blog setup, and the best part is, you get to choose whether to opt for the free or paid version of the tool. The standout feature of WP is, of course, its ease-of-use. Building your site requires no additional knowledge. By creating a custom domain, you bring your vision to life with various themes and mobile-compatible support. 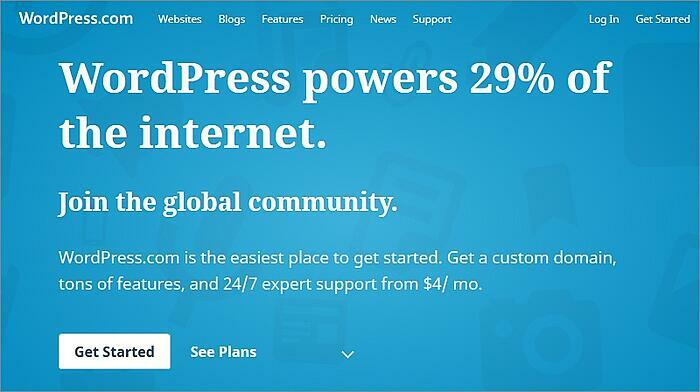 Another major advantage of WP is the strong community support, which guides you during the website building process. If you’re looking for a flexible drag-and-drop web building tool with a large number of templates, then Wix is the best option at your disposal. Wix boasts more users than most website building platforms, and with good reason. This tool offers plenty of good templates and features. The platform is best known for its search engine-friendly HTML5 sites. The only drawback is the visible adverts, which cover not only the site footer but add a new button to the top-right of the page. Website editor is extremely flexible. Access to an extensive app market. Benefit from second level domain, limited to 500MB of free space and up to 1G bandwidth. 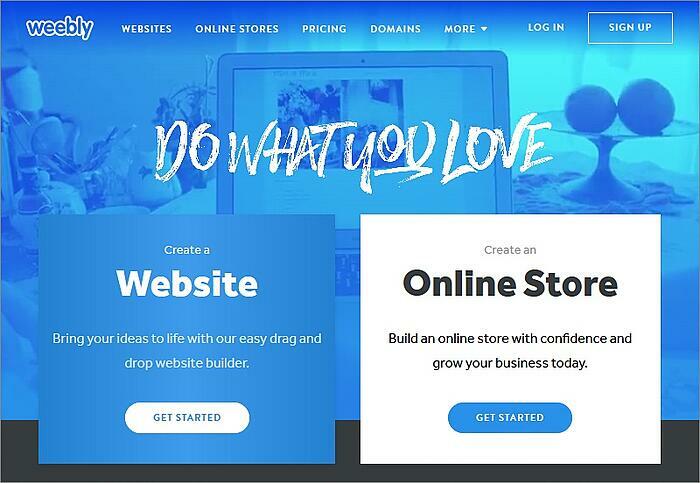 This free easy web-building tool works great for both startups and established businesses. Harness its power to develop mobile-friendly sites with social media integration options, analytics tools, multiple template combinations, and a one-click launch process. Since the starter plan is the only free one, you cannot avail hosting and domain services, and free ad credits. Building a site on this platform is as simple as selecting the perfect template, customizing it as per your requirements, and then publishing it with a single click. 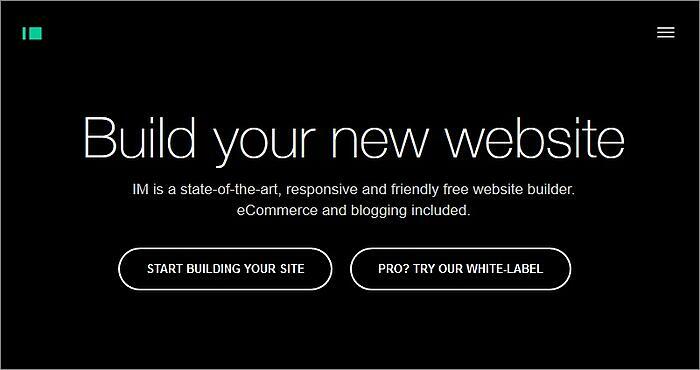 WebsiteBuilder even enables users to edit the site and publish updates soon after its launch. The best option available to both amateurs and professionals. Content can be uploaded both by tweaking the CSS/HTML coding and by using the intuitive drag-and-drop interface. Enjoy thousands of customizable layouts, colorful templates, and rich graphics. SEO improvement tools, CRM features, and ecommerce solutions provide an edge to your marketing efforts. Site123 is an industry veteran, having been around for 15 long years. In that time, this tool has set itself up to become the easiest and most accessible option available to users new to website building. Every aspect can be personalized to suit the interests and requirements of the users. Simply pick the right template, edit it accordingly, and then publish it on the Internet. You will find plenty of great graphics in the one-click installation wizard. 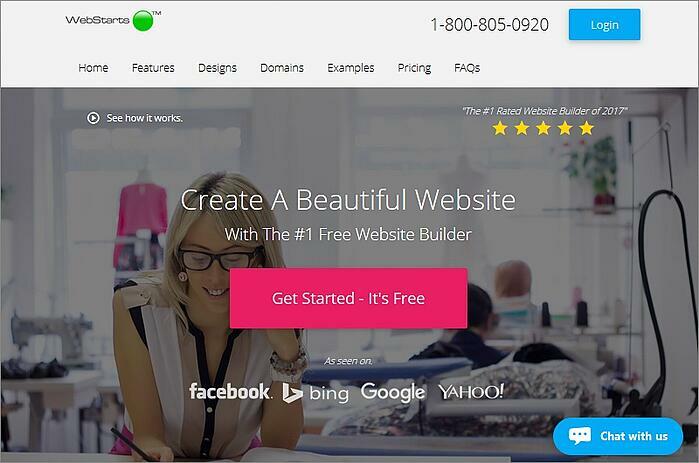 Create websites that are compatible with various screen resolutions and a high SEO rating. Add unlimited pages to your site. Include visual elements without having to worry about any copyright problems, thanks to the professional fonts and free images library. Build multiple pages at the same time using the DIY creator. Fully compatible with major social media networks. Free domain registration and web hosting. No ads in the framework. 500MB of storage space and bandwidth of 1GB. This free, easy-to-use website building tool has the latest hosting options integrated into it. Perfect for beginners, this all-in-one, integrated packages allows you to create interactive sites and develop a strong presence online. No wonder IM Creator has been used to develop more than 11,240,766 websites to date. Ideal for building blogs and other types of sites with a simple click. No complicated software skills or coding knowledge is required. Wide range of images and templates for your site. Access to unlimited domain and hosting services. Scalable platform that supports both multipage and single page layouts. Unique XPRS feature allows users to build websites using beautifully constructed, compatible blocks. 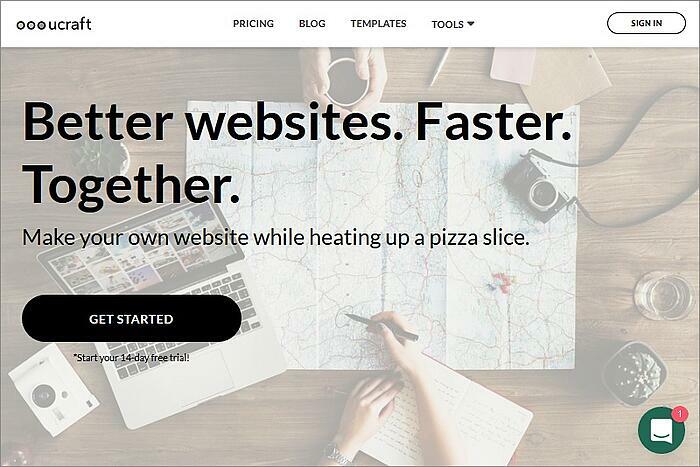 One of the best free website builders available right now, this open source SaaS helps both startups and established businesses design fully-functional websites. The drag-and-drop interface works well with hand-coded HTML files and integrated CMS solutions. Decent product with great usability. In-house editor allows easy customization and management with Google Analytics, SEO tools, and ad-free framework. App center with responsive themes and third-party add-ons. The SEO for every page on your website can be edited. Extremely flexible and versatile, making it compatible with all platforms and devices. Experience unlimited bandwidth along with free cloud backup and 500MB storage. 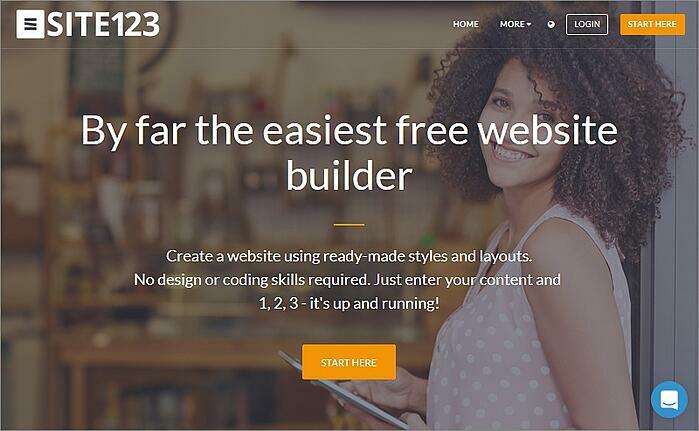 This free online web building tool comes with a block-based framework. What this means is that the websites are created by stacking blocks vertically atop one another. The platform is, thus, ideal for creative users who have an eye for artistic designs and details. The images and templates are fully customizable and appealing to the eye. 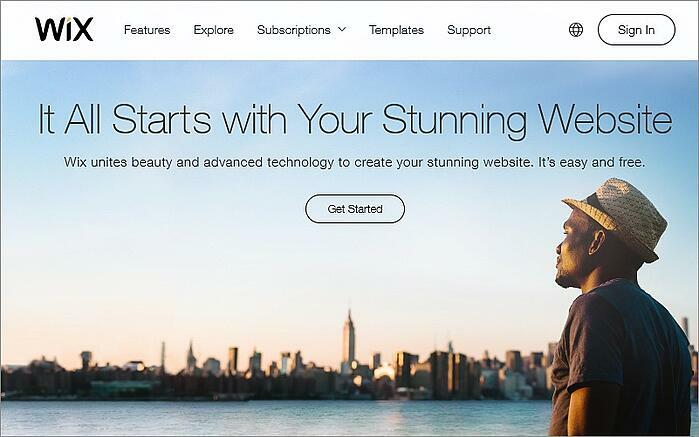 32 different themes are available to users along with 13 different landing pages. Use Ucraft to develop the perfect blog, e-store, form, and portfolio. Due to all these amazing features, despite being a relatively new name in the industry, Ucraft has steadily amassed a solid fanbase among web developers. The only noticeable drawback is you’re able to create a single website under the free plan. But thankfully, there are no limits on the number of pages you can add to that site. Platforms like Intercom and PayPal are integrated with the platforms for quicker performance. Newsletters can also be created and integrated with Google Docs or MailChimp. Free cloud hosting is available for users interested in expanding their market. Unlimited bandwidth and domain services. Jimdo has been responsible for the launch of more than 20 million sites as it offers users a great mix of professional and creative features. This free, open source website building tool boasts cloud-free backups along with unlimited bandwidth and storage. The platform is multilingual, which means you can cater to customers from all across the globe. Plus, if you have the necessary technical knowledge, you are free to tweak the CSS/HTML source file. The free package has everything you could possibly need to create your own site, like a wide range of templates and editing tools. The platform does not pressurize you in any way to upgrade to a paid plan. Jimdo works best when you’re building a small-scale startup or a large commercial venture that needs strong, reliable solutions to improve their customer base. Use Jimdo to create portfolios, build blogs and forms, and develop forms. Use free iOS and Android apps to update and edit your website using your smartphones. Experience an ad-free framework with free domain registration and web hosting capabilities. 500MB of web space without any page limits. Includes SSL encryption for security. WebNode has recently upgraded their editor to make it more stylish and modern. Check out responsive, eye-catching themes on this platform. 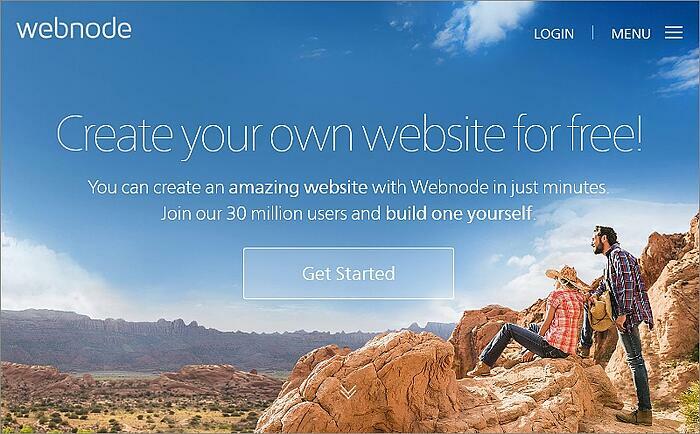 WebNode is highly intuitive and works well for both professionals and beginners. No wonder this tool is used by more than 27 million customers globally. Every type of online venture is supported by this platform, from portfolios to blogs to e-stores. Plus, the tool is compatible with every type of iOS, Android, and Mac device. Use the in-house editor to create mobile-friendly sites in minutes. Easy-to-use dashboard with numerous customizing tools. No pesky pop-ups and ads. Track website statistics free of cost. Change SEO settings for every page on your website. It wouldn’t be wrong to call WebStarts the simplest and the most organized out of all the free website builder tools in 2018. Every function and feature is present in this tool, and it serves as a blank canvas that can be customized and edited as per your requirements. This WYSIWYG platform provides users with a list of content elements to drag and drop on a chosen template. Use the grid view interface design to keep everything clean and organized. Integration with newsletter platforms like MailChimp. Everything you build can be accessed across different devices. Free hosting, unlimited bandwidth, cloud backup and domain registration. Ability to edit SEO for every page. Online store provides access to 10 free products. Take your pick out of these website building tools, and develop the perfect website without spending a single penny. All of these can be used without any additional knowledge or experience, making them perfect for both newbies and industry veterans.